Covering 5000 square miles, Vatnajökull Glacier is the largest icecap in Europe. The ice is up to 3280 feet thick in some places. 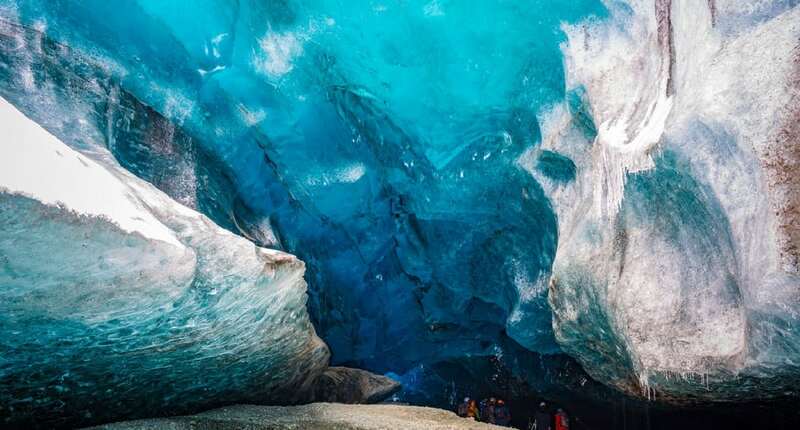 Deep under the glacier, beautiful caves of ice are formed by rivers of melt water.